The growing trend of not using vacation days threatens workers productivity, creativity and energy which directly affects the bottom line of American businesses. Nearly two-thirds of employees say their concentration and productivity at work improve with taking time off. 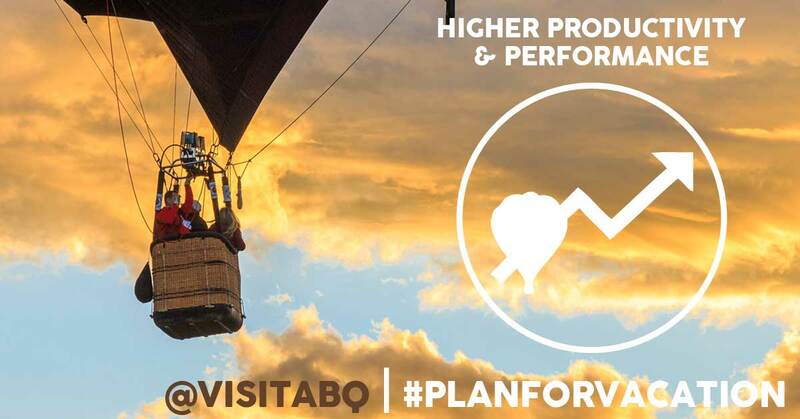 Your productivity will soar to new heights after a vacation in Albuquerque, billed as the "Hot Air Balloon Capital of the World"! And balloon rides aren&apos;t just available during Balloon Fiesta®–you can soar through the sky year-round. 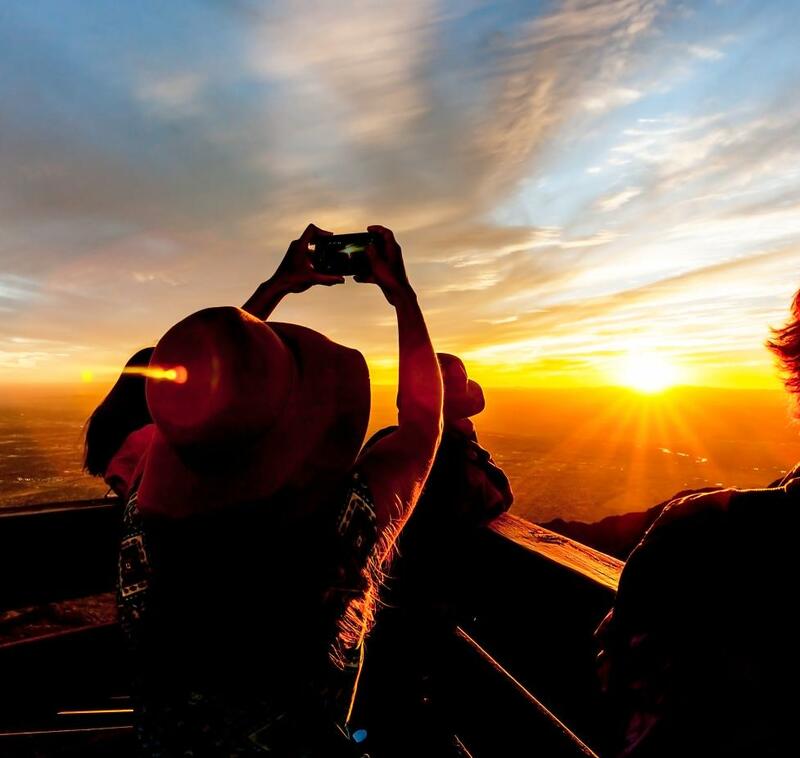 Learn more about ballooning in Albuquerque and click here to book a ride. We all know that taking a break does wonders for our mental health. 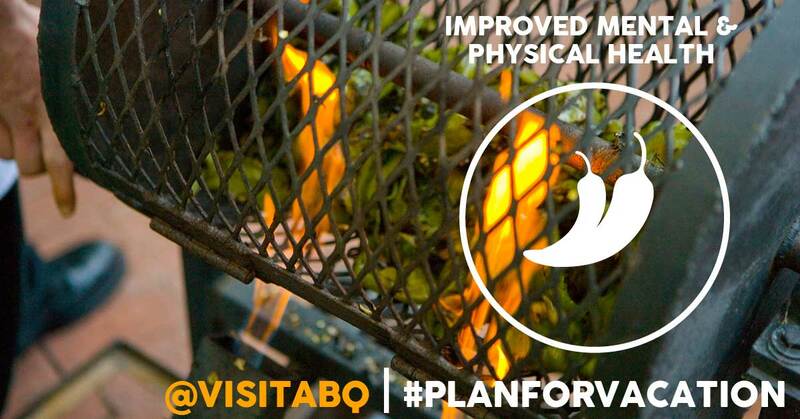 But did you know that New Mexican chile can actually help improve your physical health? Chile is packed with vitamins and is proven to boost metabolism. So the question remains...red or green? Click here to learn more fun facts about chile. We all struggle with time and not having enough of it! By slowing down your pace and taking your vacation time, your relationships and social life will benefit. In Albuquerque, one of our favorite ways to blow off steam is flamenco dancing! 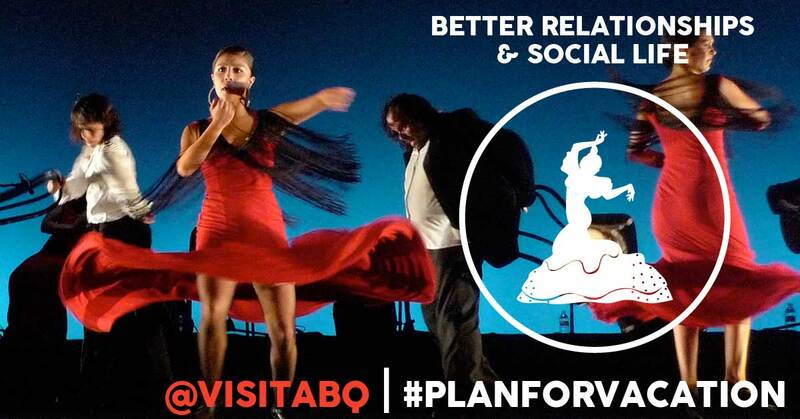 With the National Institute of Flamenco, the Festival Flamenco de Alburquerque each June and live performances every week at the brand new Tablao Flamenco, the city has become a cultural hub for this powerful Spanish-inspired art form. 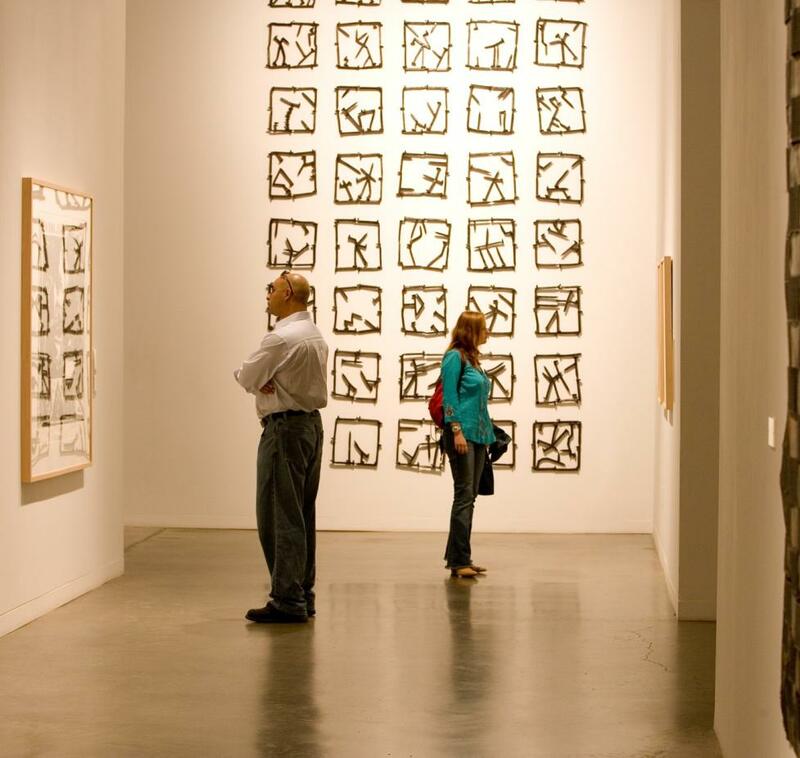 Click here to learn more about the vast performing arts scene in Albuquerque. The amount of time off taken also shows a clear correlation to happiness. You know what else boosts happiness? Vitamin D! 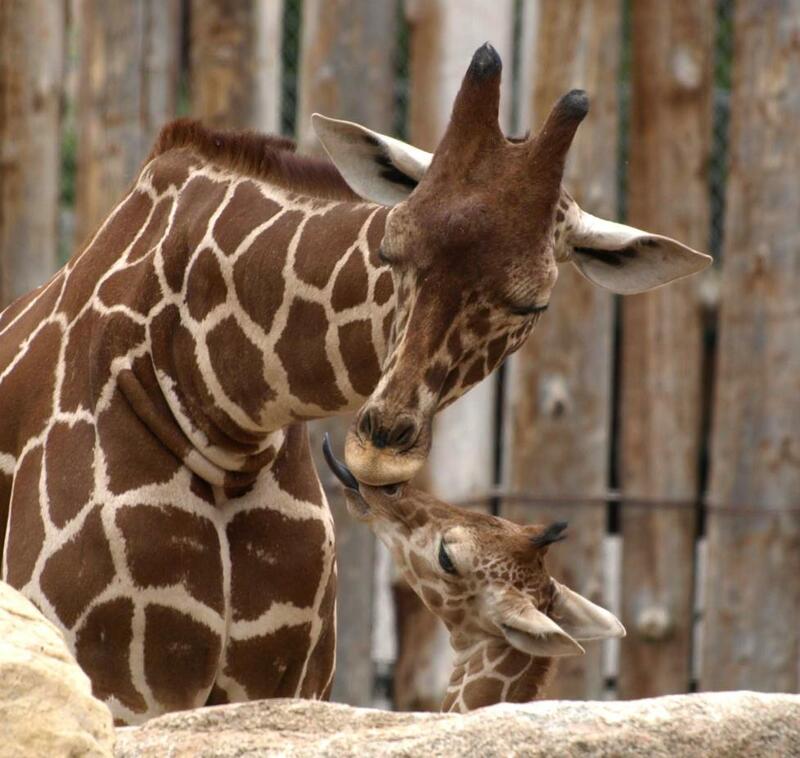 Get plenty of it in Albuquerque where we have 310+ days of sunshine every year. 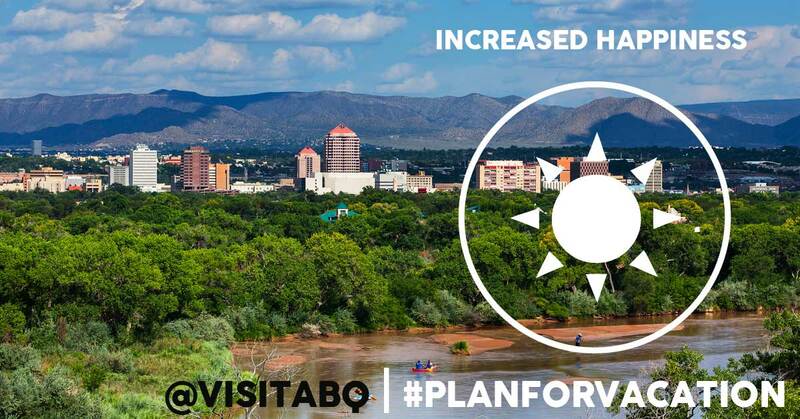 Click here to learn more about Albuquerque&apos;s average temperatures and awesome sunny weather. 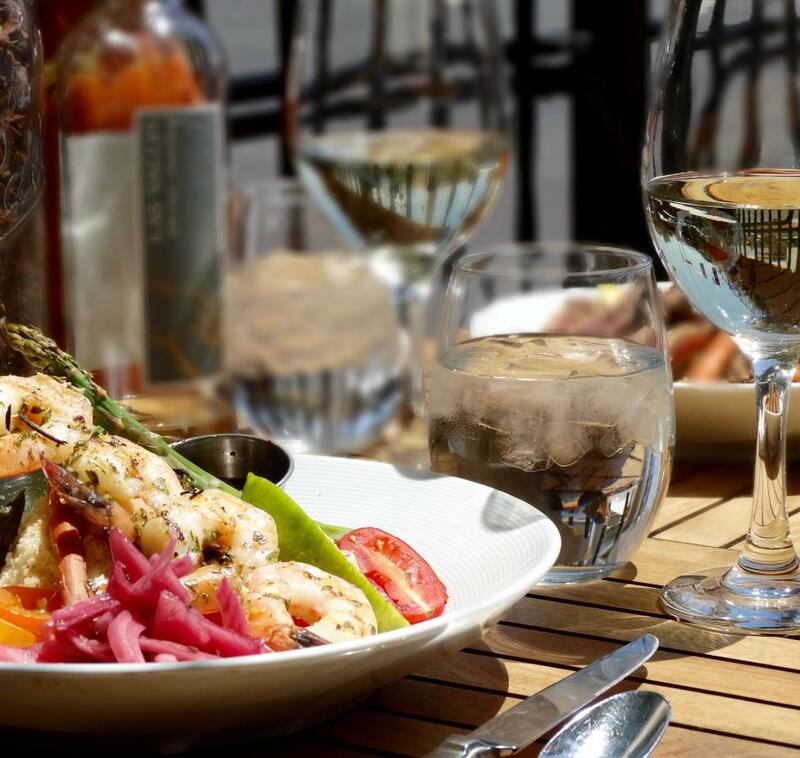 Taking some time away from work allows us to come back rejuvenated with a fresh perspective. Studies have shown that employees who regularly take their vacation days have an overall more positive attitude towards work, which no doubt boosts productivity and motivation. 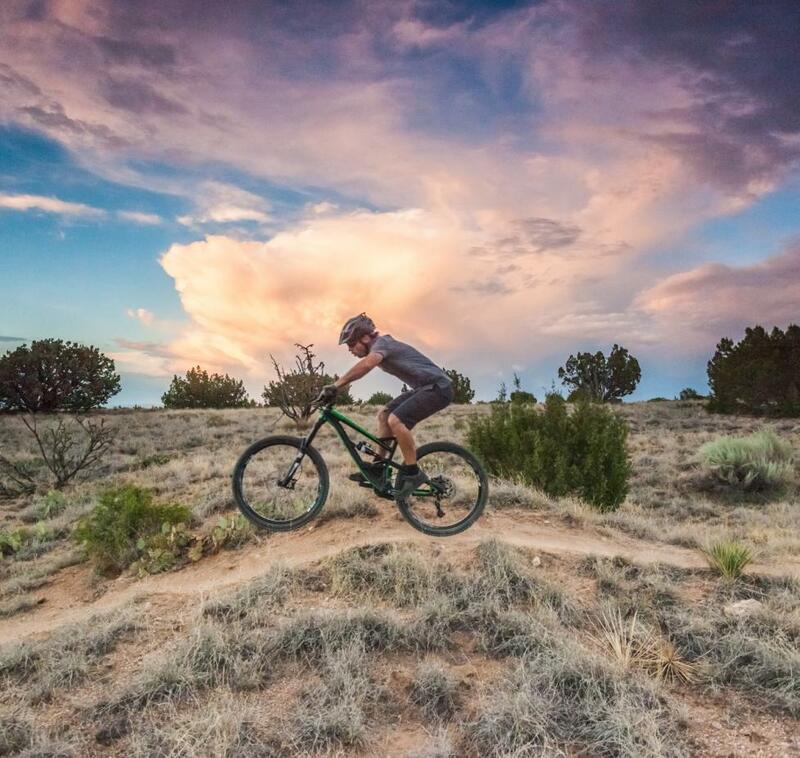 Regular exercise also boosts productivity and mental clarify, and with everything from kayaking on the Rio Grande to mountain biking in the foothills, we have an unlimited supply of recreational opportunities in Albuquerque! Project: Time Off is an initiative to win back America&apos;s lost vacation time. Their goal is to shift work culture in the United States so that taking time off is "understood as essential to personal well-being, professional success, business performance and economic expansion." Click here to learn more about National Plan for Vacation Day. Erin is a 6th generation New Mexican who regularly experiences green chile withdrawals when traveling outside of the state. 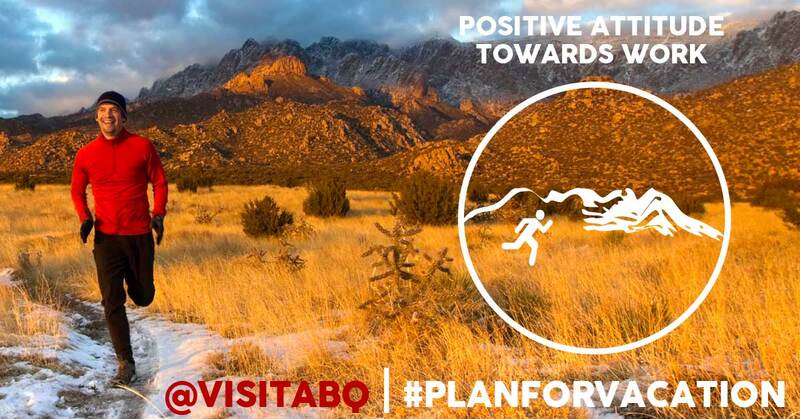 She loves visiting local breweries, jogging in the foothills and telling her friends in Texas just how much she loves Albuquerque! Erin Scott was the editor of the ABQ365 blog and the Social Media Specialist for Visit Albuquerque until February 2017. You can follow her on Twitter or connect via LinkedIn. The opinions shared on this blog are her own.